I gush about it in a previous blog post, so it should be of no surprise that I would evetuanlly bring North Haven News to the platform. 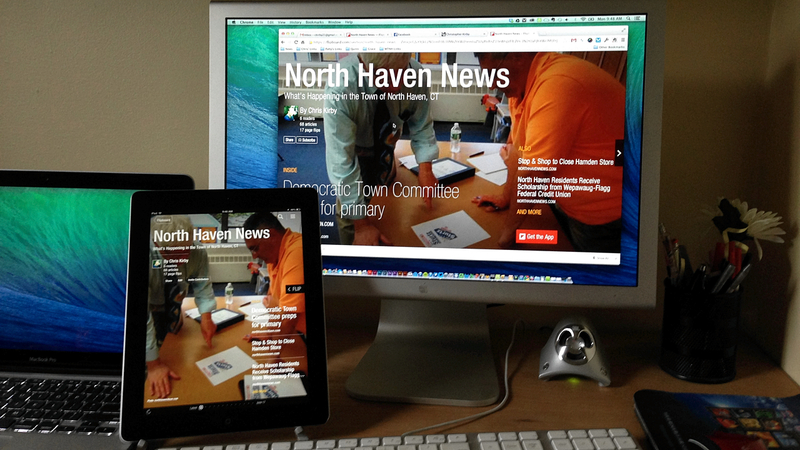 In addition to articles I’m posting on NorthHavenNews.com, I’m also “flipping” stories from other local media sites, so think of this as the one place to go to get a sampling of stories from all the local newspapers, websites and blogs presented in way that lets you easily flip through the articles on your desktop, tablet or mobile device. Check it out and subscribe today. I hope you enjoy this new way of getting your North Haven News.